After years of steadily absorbing features like suggesting strong passwords and remembering the ones you've got, iOS 12 now gives back to password manager developers. 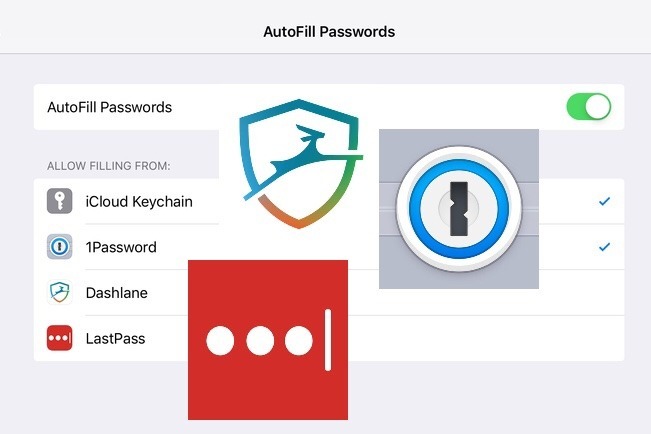 The new AutoFill lets your third-party password manager be on tap in more places and much more easily. AppleInsider unlocks what you do —and where the unexpected limitations are. It used to be that you couldn't convince people they needed a password manager because until you've seen one in action, you don't get it. More recently, though, all iOS users have indeed seen this feature in action —built right into Safari. Now the issue is showing people that full password manager apps are better and iOS 12 has just removed one barrier to that. Apple's latest iPhone and iPad operating system includes an AutoFill setting that, if you choose to accept it, will let your password manager of choice be on tap everywhere. That's the theory and again if you haven't seen these in action, you're wondering what the significance is. As long as you have all of your passwords securely in a manager, then you can always refer to it. You can always go first to a website or click on a shopping basket icon and then switch over to your password manager to copy out the username, password, security codes or anything else. Maybe you'd actually app-switch to go to it: leave one app completely and go into your password manager instead. Or, somewhat better, you could stay in the first app and call up the Share button. Password manager apps have lived here since Share Extensions existed the start and now with a tap you can be retrieving the relevant information from there. Share is a poor title when what you're doing is getting information from another app instead of sending information to it. We can't think of a better title but it's still a barrier: unless you know, unless you've seen it, there's no way you'd think to click Share when what you want is to get information in. Also, the three main password manager apps —1Password, LastPass and Dashlane —have all worked to cut down the steps you need to take. Arguably the most successful in this line has been 1Password whose developers have worked with the makers of many other apps. It's reasonably common now to be going through an app's login process and be offered a 1Password button. Now iOS 12 has effectively given that feature to all password managers —and it's made the process much clearer. It doesn't work. Not with every website. It's going to take time for sites and developers to work in AutoFill but already it's on major sites. Try it with one of yours. Go to a website that you need to log into. Tap into the username field and as soon as you do that, if it can be AutoFilled then Safari will offer to fill in the password. Once you've set this up, though, that offer is not from Apple's own iCloud Keychain system, it's from your choice of LastPass, 1Password or Dashlane. You're asked if you want to log in to the site using the details from the password manager. Specifically —and nicely —the most prominent detail is the username of the site which your manager has details for. Then beyond that there's a note saying this comes from, say, Dashlane. When you tap on the website's username, then your password manager takes over. While you stay within Safari and on the website you're logging into, you get the password manager request for a security passcode, TouchID or FaceID. Enter that and the password details you want are retrieved from the app and popped into the right places in the site. It's a feature you'll be telling people about when they ask what's so great about iOS 12. You may have a little choice here. One of the options in the list of apps that you are saying is allowed to use AutoFill for you is iCloud Keychain. It's selected by default and you should leave it on. What else is on the list depends on whether you have a password manager installed. If you don't yet, go get one. Whichever you pick —1Password, LastPass or Dashlane —is far better than remembering passwords or scribbling them down in a book. You might find that you don't like one and you decide to move to another. That's more than fine but if you ever have two password managers on your iOS device at the same time, this is where you need to think about it. Password managers are just secure databases, buttoned-down lists of information, they're not executing code that can interfere with each other. Yet Apple has set a limitation: only one password manager at a time can be trusted with AutoFill. You can always come back later and switch to the other one but it would've been handy to see how each handles AutoFill side by side. If you could do that, though, you probably couldn't also have AutoFill's simple one-button choice when you're prompted for a password. That one button does make it very clear that, should you tap it, you'll be logging into this account with this username. Apple doesn't really hide any other information but in making that username so prominent, it does feel like LastPass and the rest are given a back seat. So perhaps this isn't Apple being generous, giving this AutoFill feature to password manager app developers. Perhaps it's just Apple keeping us in Safari. 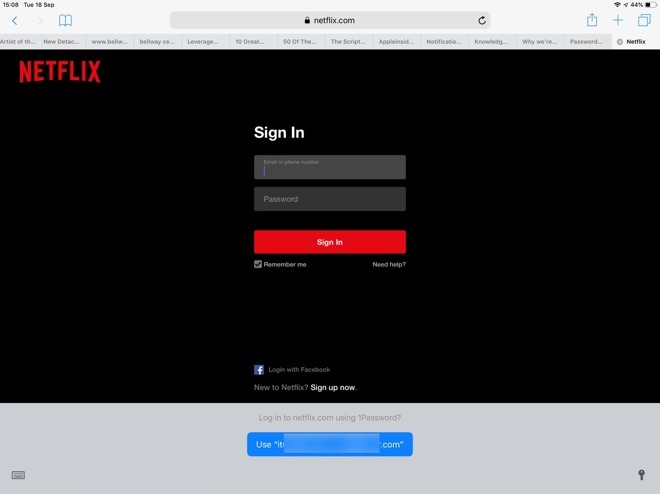 After all, if you ignore the button and go away from the login site, when you come back you aren't offered the option again until you close the site and return. Whatever Apple's motivation, though, AutoFill is a real boon. It's also a delight: the first time you see it, you think yes, that's exactly how this should work. Dashlane is also free to try. Until, or unless, you upgrade to the Premium version, you're limited to using it on a single device and for up to 50 usernames/passwords. Premium costs $60 per year.